The Sol VIP Travel company can provide you with unforgettable impressions from excursions over Cantabria. This region has the second name "The Spanish Switzerland" owing to unique climate and magnificent landscapes. The climate here is really one of the most comfortable for living. And the landscape consists of sharp rocks, beautiful beaches, fast speed rivers, the blue sea, the impassable woods, lofty mountains, etc. 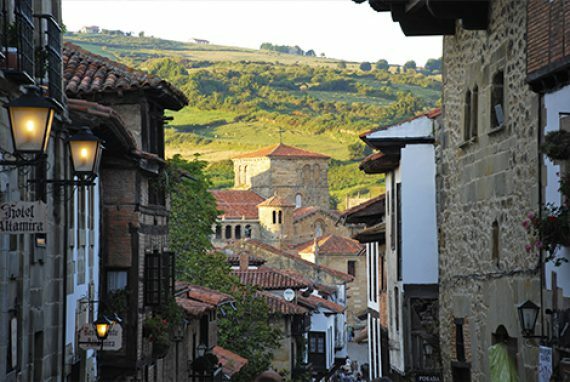 Perhaps Cantabria can offer the most complete range of services for active travelers. Just imagine: diving, rafting, canoe, surfing, kite surfing, windsurfing, water ski, yachting, speleology, mountaineering, mountain bicycles, motor-trial, bungee jumping, jeep safari, snowboard, mountain skiing and many other things. For quiet pastime fans also there are a lot of activities like: magnificent beaches, balneo resorts, SPA, horse walks, golf, tracking, foot walks on the mountains, sea walks, etc. Taking into consideration this fact it was built monarchs summer residence. The Biscay Bay seafood will surprise lovers of good food with enormous variety of dishes like huge crabs, royal shrimps, lobsters, spiny lobsters and many other things. Cantabria is well-known for national parks, reserved zones and extraordinary beauty caves.